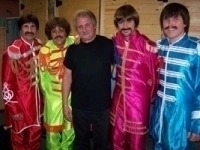 Beatles Tribute Band. They are without a doubt the most musically satisfying Beatles tribute band on the scene today. Boasting the high visibility of strong vocals, music and a commitment to the accurate reproduction of the Beatles, this is the band to see if you want to know what it might have been like had the Beatles toured today. The band consists of four musicians who each bring their individual talents to create a GREAT show. Do You Have the BEST Tribute Bands? If you want entertainment that guests at your event will be talking about for years to come, hire a tribute band through Besser Entertainment. We can offer the most requested tribute bands across the nation. Our tribute bands perform both live vocals and instruments. Through their performance, they completely re-create the look, style and sound of The Real Thing. 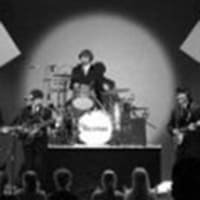 Each band features talented musicians look alikes who will take you and your guests on a musical mystery tour back to the Original Band at their peak. Are Your Tribute Band Musicians Qualified? Yes! Each of our tribute bands are comprised of world class musicians. 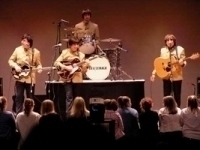 Some are even veterans of The Cast of Beatlemania, Legends in Concert and Disney British Invasion band at EPCOT. Our celebrity impersonators not only look like the Original Band members but sound like them too. They completely take on the role so you feel like you are at an actual concert. Do I Have to Hire the Whole Tribute Band? We offer a range of tribute band options to fit any event. Some of our most popular options include the full costumed cast or just the lead singer Tribute Show. No matter which choice best fits your event, our skilled Tribute Band performers will play the best of the Bands songs for you! With live music performed by talented and real musicians, how can you go wrong? What Songs Do Your Tribute Bands Perform? Our talented musicians and celebrity impersonators will keep you engaged and entertained from the moment they step on stage. The most top requested songs the original Band has done. No matter what song you are looking for, our tribute bands are happy to play it. In Summary, they play all the Biggest Hits. Why Should I Book a Tribute Band? If you are looking for an exciting and fun way to entertain your guests, you should seriously consider hiring a tribute band. While hiring a real celebrity can be extremely expensive, if not impossible, you can easily hire a celebrity look alike to perfectly play the part. Tribute bands consistently draw crowds in because of the familiarity factor. Your guests will instantly recognize the “star” and be able to sing along. Enjoy a full set of top hits that everyone will know and enjoy performed by celebrity impersonators who seem like the real thing. Besser Entertainment is proud to offer our clients tribute bands that have performed for thousands of happy audiences all over the world. Our specialty acts come in a range of prices to suit any budget while still providing excellent entertainment. You can rely upon our expertise in this niche field to ensure that you get the best talent for your event. Contact the team at Besser Entertainment today. Besser Entertainment can bring the excitement of a tribute band to your next event! Tribute Bands, Local, National, International.